Revolutionary new rubber Drivewayspikes acts as a deterrent for drivers on private property. 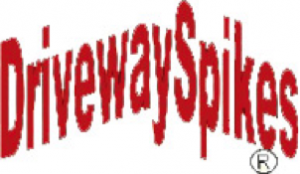 Drivewayspikes requires no installation and more importantly does no damage to the tire of the vehicles driving forward or backwards on them because of the rubber “spikes”. The spikes are made of long lasting rubber and imply a restriction but actually provide full access. The product has been used in parking lots in many areas of business including, VIP parking, city and state government, police, medical center restricted areas, private residence, restaurants, clubs and by property management companies. We are currently seeking additional distributors in selected geographic regions.